Cardbomb: Giving it a Shot! Why Not?! Giving it a Shot! Why Not?! Giving it a Shot! Why not? You're probably wondering what I'm talking about, right? Well, Stampin' Up! just put the call out for Display Stampers for On Stage in April and I've decided to apply. 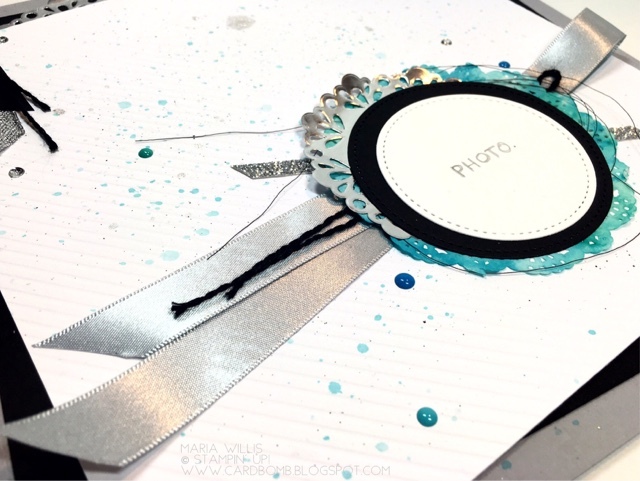 I don't know if you've ever been to On Stage or not but one of my favorite things to look at are all of the amazing projects created with new products by the display stampers. I've always thought what a lucky bunch those stampers are getting their hands on new product before anyone else even gets to see it... AND, they get first play at everything! So cool! So this time around I've decided to apply and give it my best shot... This blog post is my application and it includes three standard sized cards, two 3D projects and.... Dun, Dun, Dun! 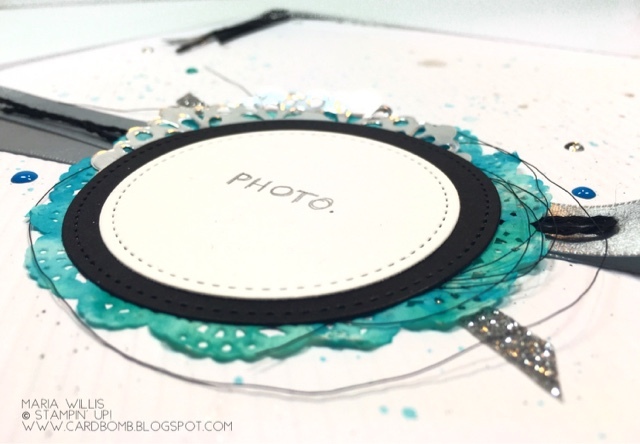 a Scrapbook Layout! I know what you're thinking, I don't scrapbook. True. I didn't even have any pictures to use but I found a way to get creative anyway and I sure hope you will like it. Here's my first card. 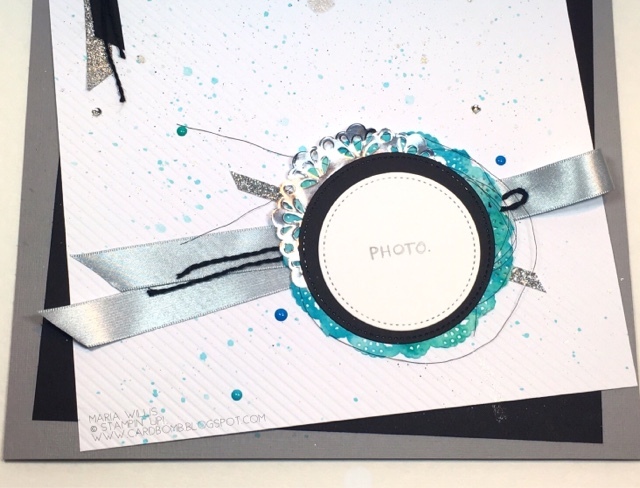 Check out these new products from the Occasions catalog! The stamp and the amazing arrow and envelope thinlits are from the Sending Love suite. That soft and beautiful paper is the new Falling in Love DSP. Wondering where that sentiment came from? Yep, I clipped it out of a winter set called Flurry of Wishes. Useful sentiments like this are often hiding in the least expected places. 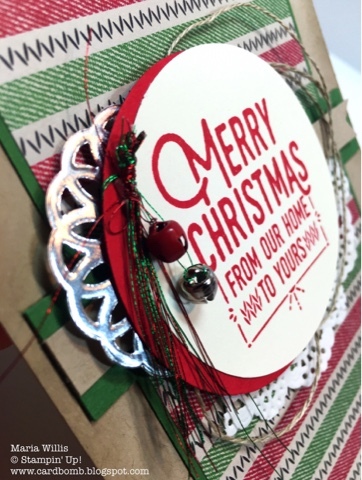 My second card is a Christmas card and my favorite part of it is the little mess of metallic thread and jingle bells. I also love this DSP-it was my favorite this holiday season. Here's a close up of those fun little jingle bells! I hope you like this jolly little bundle of Christmas sparkle as much as I do! My third card is another Christmas card. This moose is so adorable! 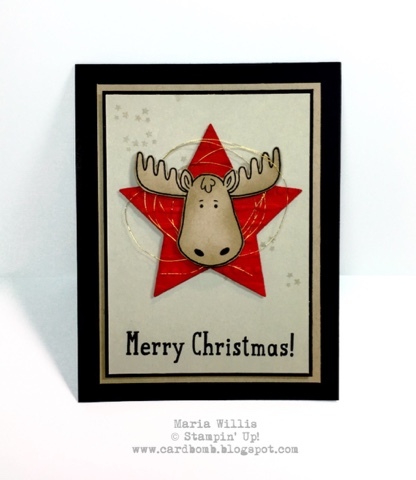 I sponged him a little bit to give him some texture and layered him over gold metallic thread, an embossed star in Real Red and a background of stars stamped in Versamark. My first 3D project is one that I made this fall. 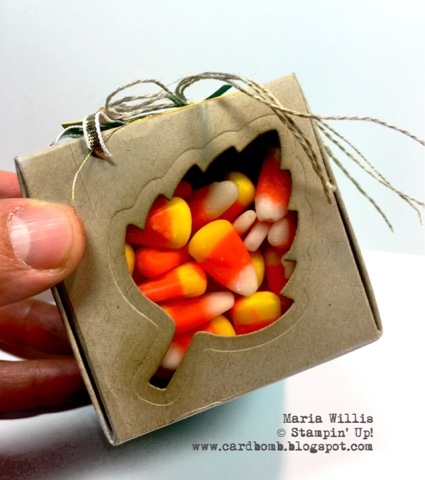 Originally it was filled with candy corns but those only lasted 'till the photo shoot was over before my husband and I ate them all. 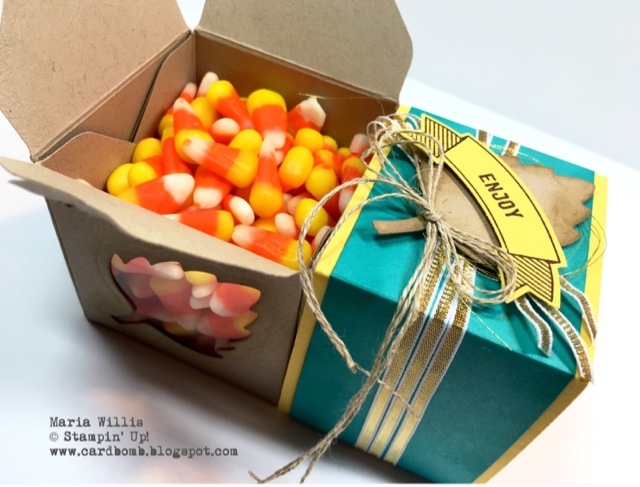 I wanted to showcase the candy corns inside the box because the colors are so bright and pretty. I used my leaf framelits to cut a window in the side of the box and used a window sheet on the inside of the box to seal the box back up. 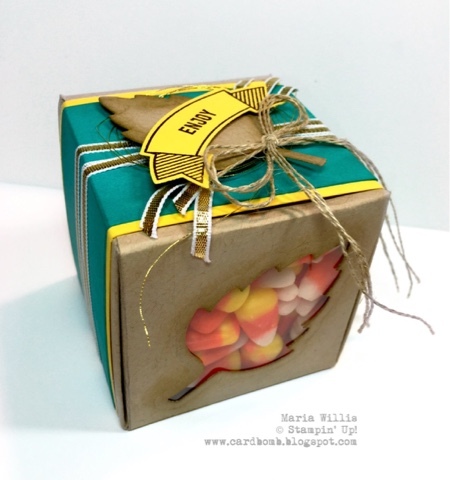 Of course I couldn't just leave the box plain so I added a belly band in Daffodil Delight and Bermuda Bay. I topped the belly band off with some gold ribbon, the leaf that I cut from the side of the box and a banner with sentiment. For my second 3D project I'm sharing a llamapaca box that I made. 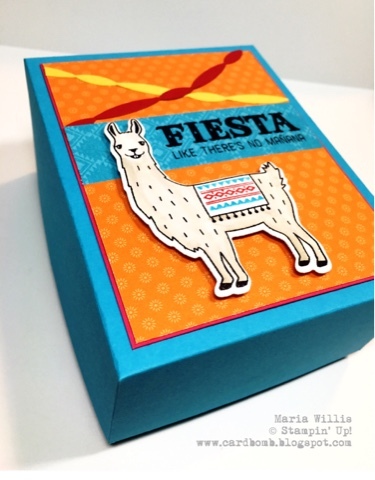 It's filled with a set of six mini llamapaca cards with matching mini envelopes. I am a huge fan of this set and love the vibrant colors of the DSP! Put it together with the llamapacas and it's a serious recipe for smiles! Ok! Here we are. 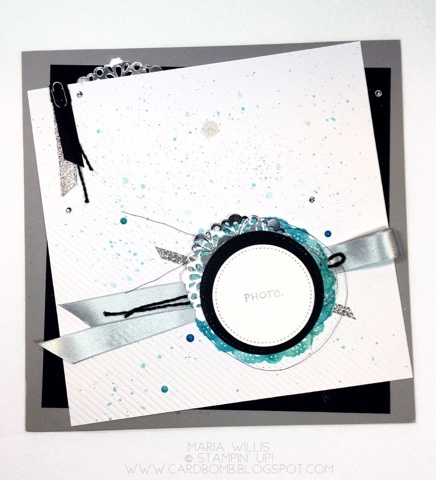 We've arrived at the project that proved the biggest challenge for me...The Scrapbook Layout. I've been out of town camping and haven't had much time to create this week. It's Thursday night (actually it is now after 2am on Friday morning but I am getting this done before I go to bed!) and I knew that if I didn't make the time to create my first scrapbook layout ever I wouldn't be able to submit this application. So, here we go, and please forgive the bad lighting in my pics. I live in the mountains and took these pictures in the middle of the night and I really struggled with trying to get good pics because of poor lighting. It's hard to see the details of the background in this first picture but it does allow for you to see the layout that I created. My idea was to create a page that would highlight just one very special photo. I think sometimes it can be more striking to use just one photo as the focal point of the page than it is to have too many pictures and have none of them stand out. I used some textured paper for the background (layered over Basic Black and Smoky Slate) and splattered it with Bermuda Bay, Tempting Turquoise and Basic Black inks. I also added some heavy spatters of Clear Wink of Stella to add some shimmer. I watercolored a doily to match and layered it with different pieces of paper, ribbon and thread in silvers and black. I had fun making sure there were different textures on there and finished the page off by adding enamel dots in both metallic silver and blues. Here's one last look. 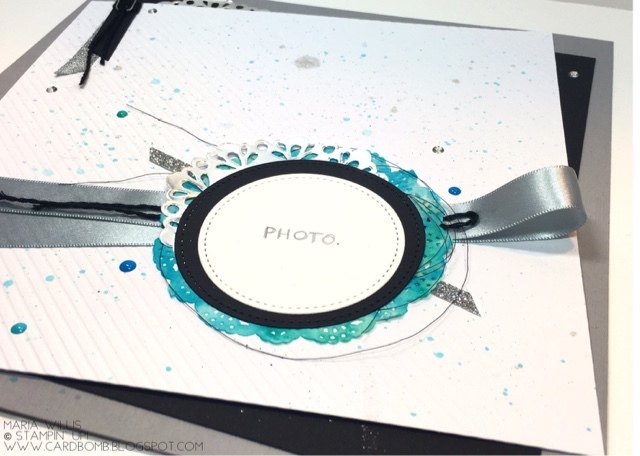 Now the real challenge will be for me to continue with scrapbook layouts. This was really fun to make and I now I just need to find the perfect picture to add to finish it off. Well, that's it for now. I've got to get up in a few hours and go to work and act like a person-not a zombie. 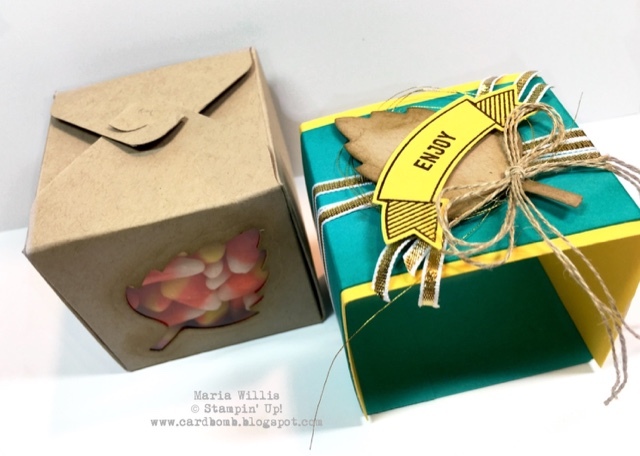 Thanks for stopping by and checking out what I've got to share! Distressed Glue Technique & Some Exciting News! Beetles & Bugs Stained Glass Technique!